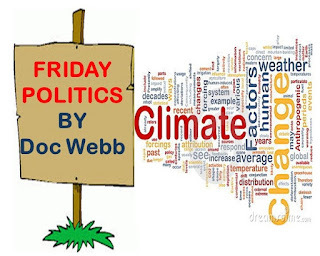 BAY POST INTERNET: Global Climate change - Is it really the question in the St. Pete Mayoral election? 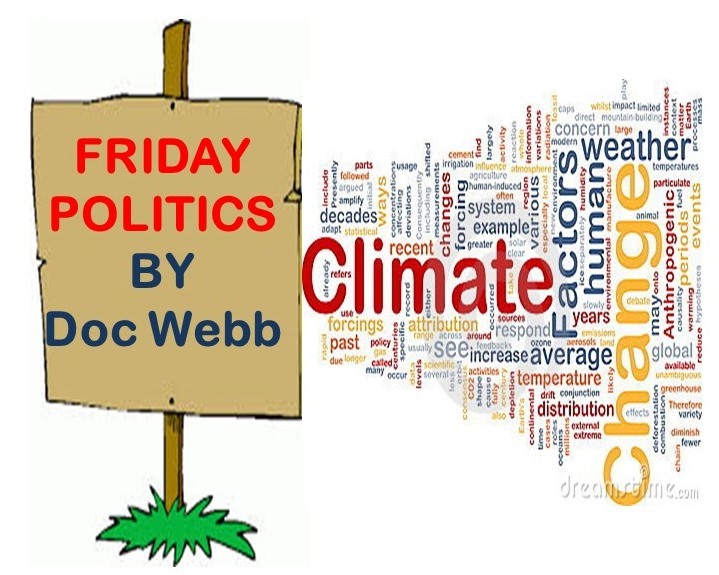 Global Climate change - Is it really the question in the St. Pete Mayoral election? Rick Baker is focused where a Mayor should be - on his City. Current St. Pete Mayor Rick Kriseman is trying to make global Climate Change a decisive issue in the upcoming St. Petersburg Mayoral election. You can get more info in Charlie Frago, Tampa Bay Times, Next big fight in St. Petersburg's mayoral race: the science and politics of climate change. From the Frago article, Rick Kriseman is quoted, “Mayors are the elected officials closest to the people." But President Trump’s decision to pull the US out of the Paris Climate Accord is not a local issue. If Kriseman is focused on the global issue of climate change, he should more appropriately run for the US House or Senate. Therein lies the problem with the current St. Pete Mayor. Captivated by the need for attention and bedazzled by the bright and shiny, like water ferries, expensive water parks, eclectic Pier designs and accompanying outlandish art Kriseman has a hard time staying focused on and managing serious local issues. Issues like waste water and storm water infrastructure, crime, deteriorating streets and sidewalks, the infrastructure stresses of major downtown redevelopment, the concerns of St. Petersburg’s midtown and Southside problems. Kriseman wants to play on a grander stage using St. Pete merely as a backdrop while sewage is dumped in the bay, local schools fail; neighborhoods deteriorate and project cost's spiral out of control. Issues like St. Pete’s failing schools, and crime are often in Mayor Kriseman’s speeches but rarely on his to-do list. In his three-plus years of leading St. Petersburg, every major project is over budget. Rick Baker, on the other hand, is focused where a Mayor should be on his City. On schools, rather than wring his hands and wine a mayor can’t have an impact on schools; Baker has proven that involvement of the top City official can have a dramatic impact on schools, quality of education and teachers. On crime, Baker has already indicated he will look at reinstating the St. Pete PD Street Crimes and Auto theft units. Maybe why Kriseman’s crime numbers look so good is his police chief is not pursuing the criminals. The Pier, Pier Park and the new Police station are already way over budget. Baker will manage these projects to restrain any more scope and budget creep. One of the reasons the Rays issue is at a standstill is simply because Rick Kriseman could not negotiate his way out of a wet paper bag. Rick Baker’s whole career has been about negotiating. You can rest assured that any deal with the Rays will not leave the City holding the bag. And then there is climate change. It is hard to appreciate the current Mayor’s passion for climate change and rising sea levels while he trumpets spending 10’s of millions of dollars on a water park that is just barely above sea level. Kriseman’s climate-change argument is just a way to deflect your attention from the sewage in the Bay, the project cost over runs, an administration filled with political cronies, a failing midtown, a Pier that the people did not want and a proper respect for the office of the Mayor. I spent over 28 years working for and with the people of St. Petersburg, and I don’t think they will buy any of Kriseman’s shallow comments and hollow promises.